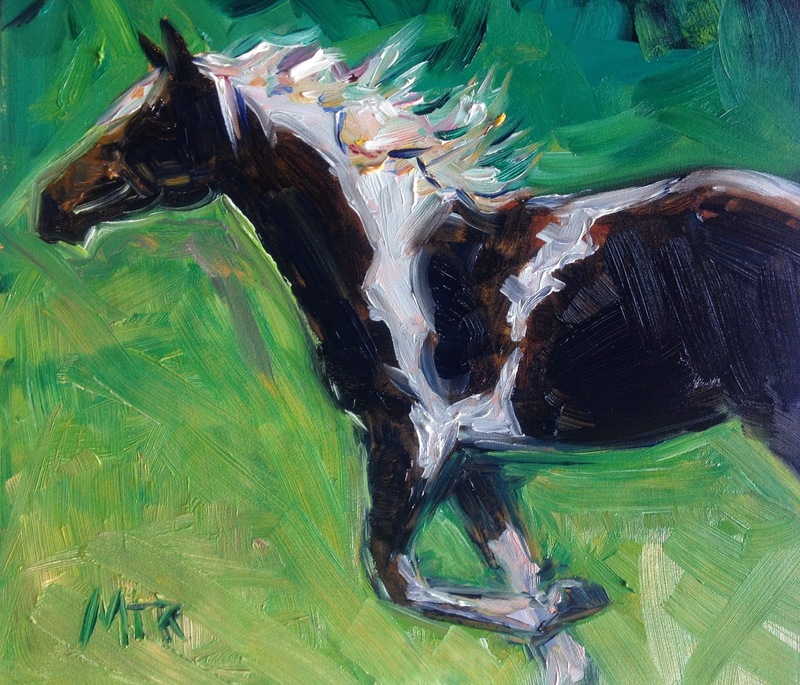 Well for the fifth painting of the month, I painted this little paint horse, using oil paints on gesso board. A bit of a change from my usual watercolors, but there are NO rules to this challenge, HaHa, so anything goes, RIGHT?! This painting is for sale and you can but it here for 45 dollars, plus 5 dollars to ship. Roxy caught my eye in the line-up today. Nice one Maria! Great palette and I love the composition!